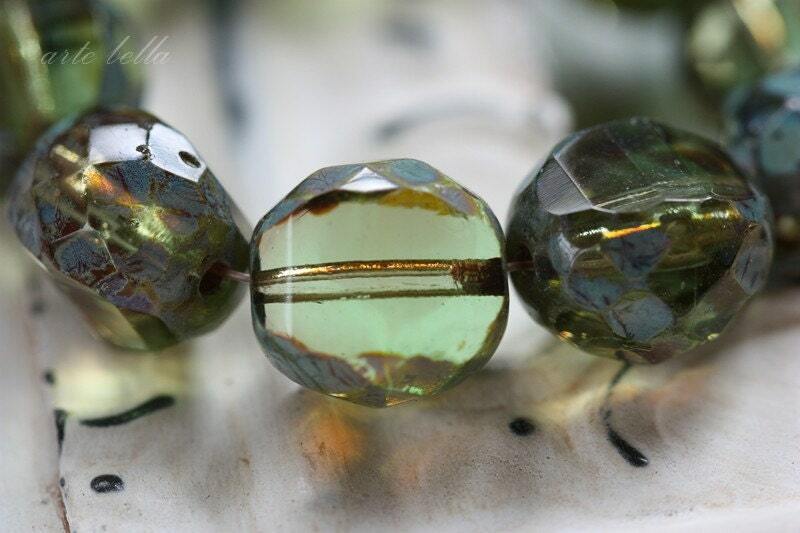 Gorgeous light olive green with a some beads having muted plum glass. Beautiful Picasso in blue, grey and sage green. If you look closely at my pictures, you can see the subtle color variations and some bubbles, gorgeous!!!! 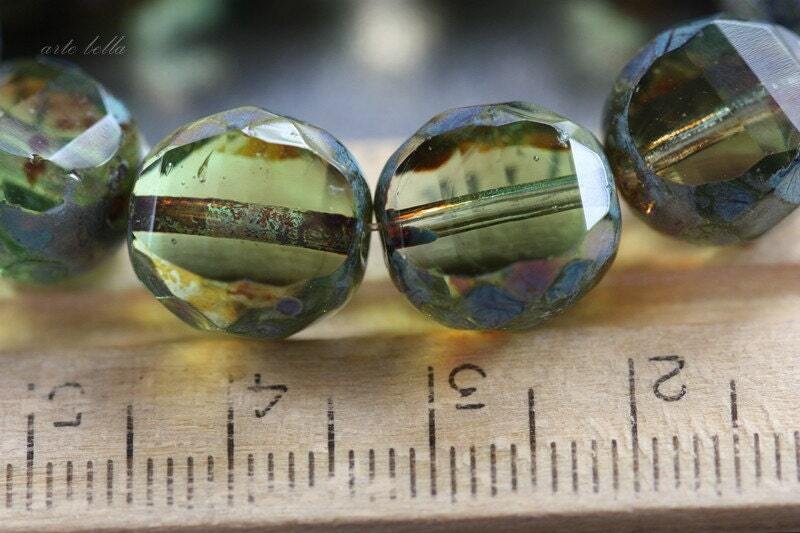 Table step cut super crisp facets give these lots of sparkle. Stunning! Pricey but worth it!! 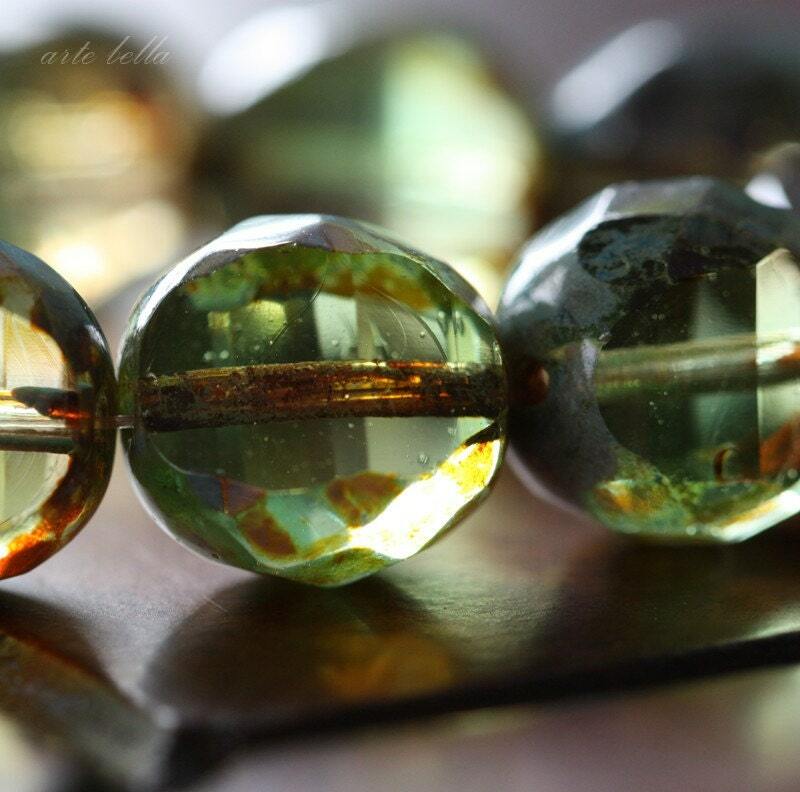 Lovely combination of colors in these nice beads. 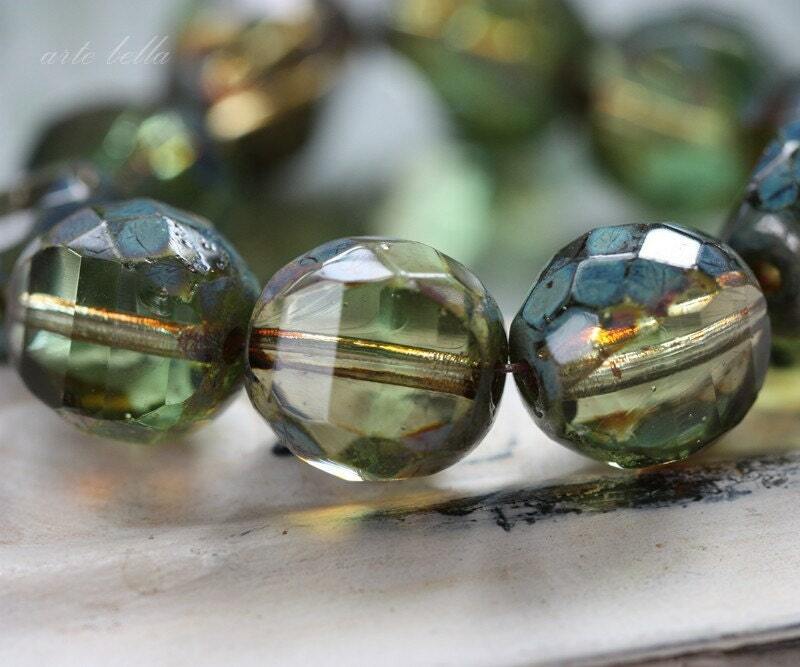 Beautiful, excellent quality beads! Shipped quickly too! 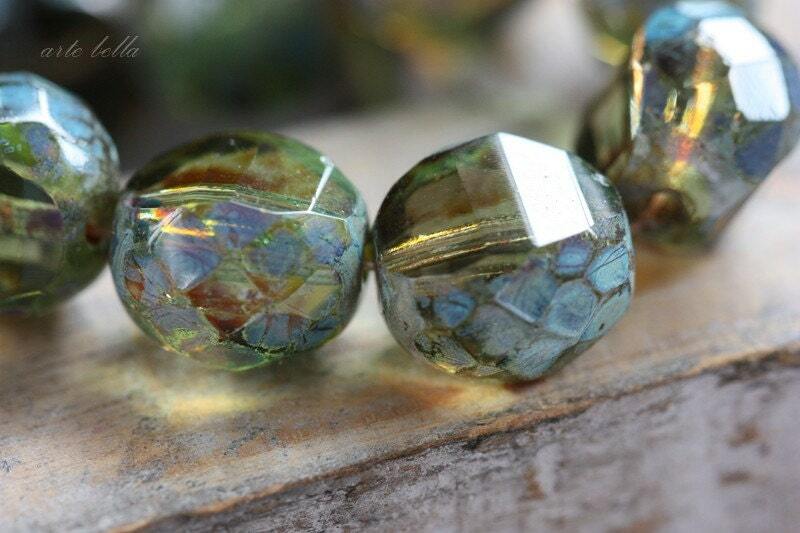 Lovely pine color boho glass Czech beads!